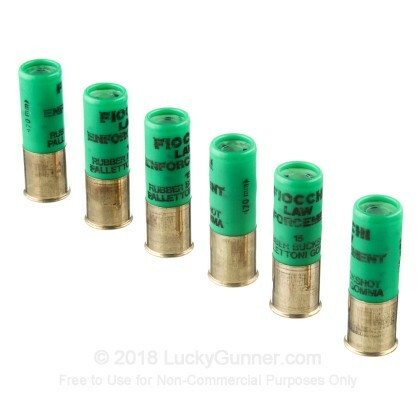 Typically used for law enforcement but suitable for a variety of other defensive purposes, this less lethal 12 gauge ammunition from Fiocchi is filled with rubber buckshot that is designed to lay down some pain without the lethal effect of lead or steel pellets. 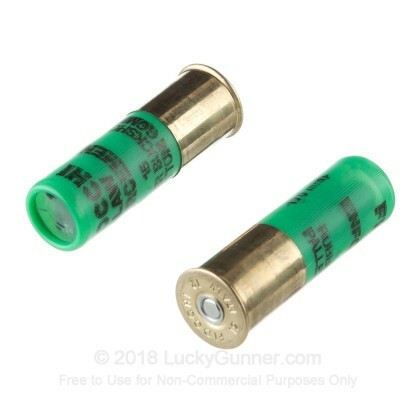 That being said, this ammo is still potentially deadly at close range; handle it with care and don't go pointing shotguns loaded with it anywhere unsafe until you're ready to use them. 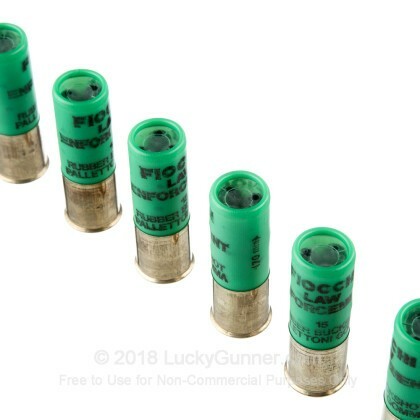 Each 2-3/4" shotshell in this box of 25 fires an 18 pellet column of rubber buckshot at 790 feet per second. This relatively low muzzle velocity helps keep recoil and power levels under control for efficient handling and a reduced risk of collateral damage; a relatively low kick allows the user to fire more quickly with the goal of subduing the target in a hurry. 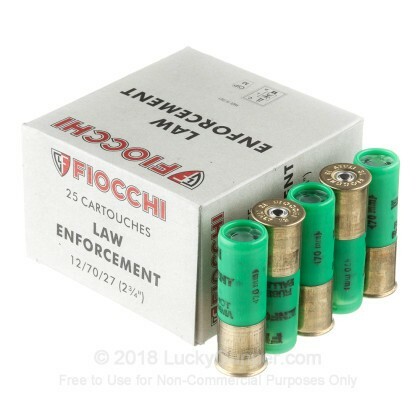 Fiocchi shotshells are loaded in both the USA and Italy; the company itself is Italian in origin, with a history dating back to the 1870s. Unlike many other brands, it has remained in the hands of the founding Fiocchi family which led the company's expansion into the US market at the end of the 20th century. 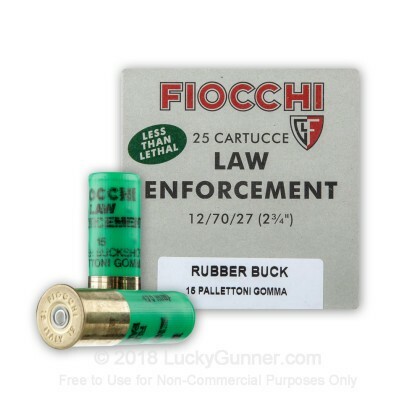 We also have this 12 Gauge - 2-3/4" Rubber Buckshot - Fiocchi Law Enforcement - 25 Rounds ammo in stock in a smaller quantity.